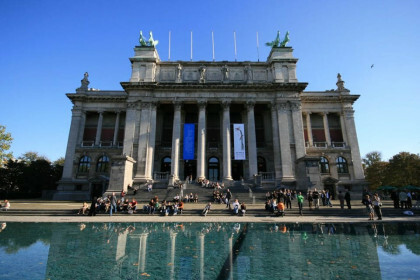 The beating heart of ’t Zuid is the Royal Museum for Fine Arts (KMSKA). The neighborhood’s itinerary is characterized by large streets in a star-shaped pattern, inspired by what Haussmann accomplished in Paris. This pattern is very obvious at the Marnixplaats, the Lambermontplaats, the Leopold de Waelplaats, the Gillisplaats and the Bolivarplaats. 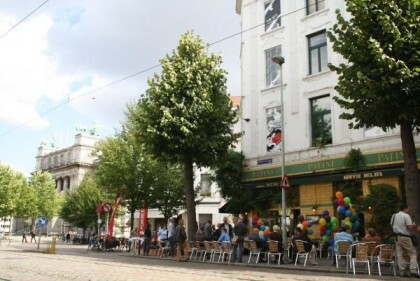 Locals often call ’t Zuid “Petit Paris”. Here you can also find the Gedempte Zuiderdokken, where many activities and events are organized (e.g. Cirque du Soleil, StuDay, Zuiderzinnen, Sinksenfoor). Great food: L’Amitié, Haute Friture, River Kwai, Lucy Chang, Umamido, Wine Bistro Patine, Hippodroom, Barsserie Nero, Yam Thai, Dôme, Gelato Factory… From Asian dishes over Italian and Mediterranean cuisine to French or Belgian restaurants, you can find it all at ’t Zuid! We think it’s very clear… You’ll never get bored at ’t Zuid, because there’s so much to do. When you’re in the city, make sure to go grasp this particular “southern” atmosphere!